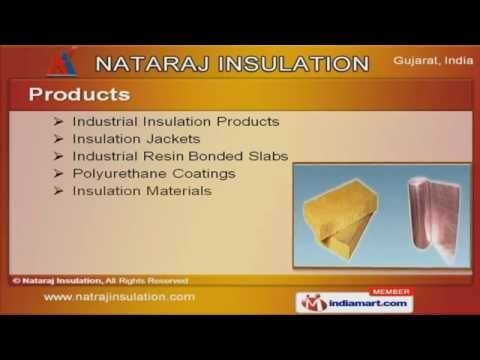 Welcome to Nataraj Insulation. Manufacturer & Supplier of Insulation Products. The company was incorporated in 1996 at Vadodara. Our rigorous quality inspection & technically soundinfrastructure have helped us to gain market across Indian Subcontinent. Specialized R&D unit, complete customer satisfaction & quality range of products are some of the plus point of our organization. Our product list includes Insulation Jackets, Industrial Resin Bonded Slabs, Polyurethane Coatings & Insulation Materials. We provide premium grade Industrial Insulation Products. Our Removable Insulation Jackets are a class apart. Along with that we manufacture Industrial Resin Bonded Slabs. Polyurethane Coatings are some of our best selling products. Our Insulation Rolls & Mattress are one of the best in the industry.